Two rooms of music or pair two together to create a stereo pair. 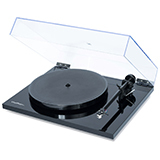 Alternatively, use as rear surrounds with a PLAYBAR or PLAYBASE. 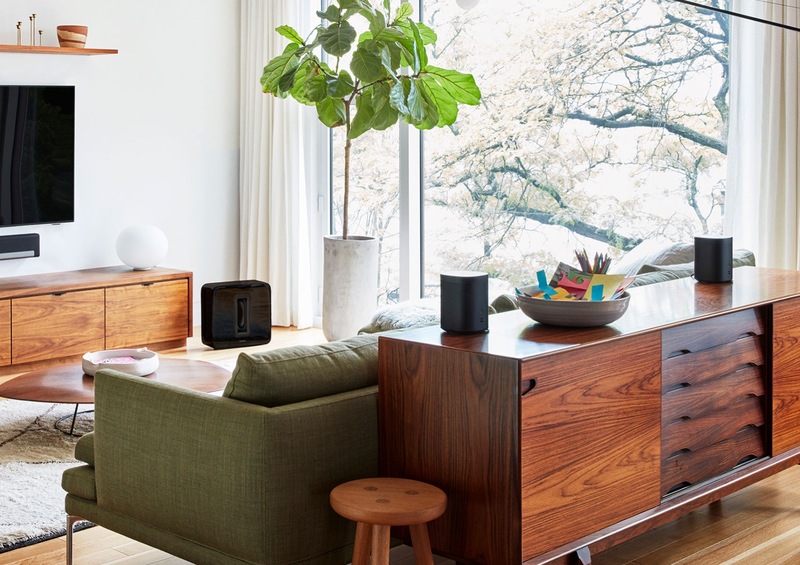 Sonos One (Gen 2) blends great sound with Amazon Alexa, the easy-to-use voice service, for hands-free control of your music and more. Use your voice to play songs while you cook. Tell Alexa to turn up the volume while you're in the shower. Or even request a lullaby when you’re tucking the kids into bed. Start and control your music with your voice. Amazon Alexa, built-in. Seamless all-black or all-white colour with smooth matte finish for a look that fits in any home. Play albums, check news and traffic, manage smart devices and enjoy all those other helpful Amazon Alexa skills using a single Sonos speaker. Sonos One seamlessly syncs voice, app, and touch commands, enabling you to manage music with a single word, tap of the app, or swipe on the speaker touch panel. Combine voice control with the Sonos app to manage all your music in one place. An illuminated LED indicator light makes sure you always know when your speaker’s microphone is active or turned off. 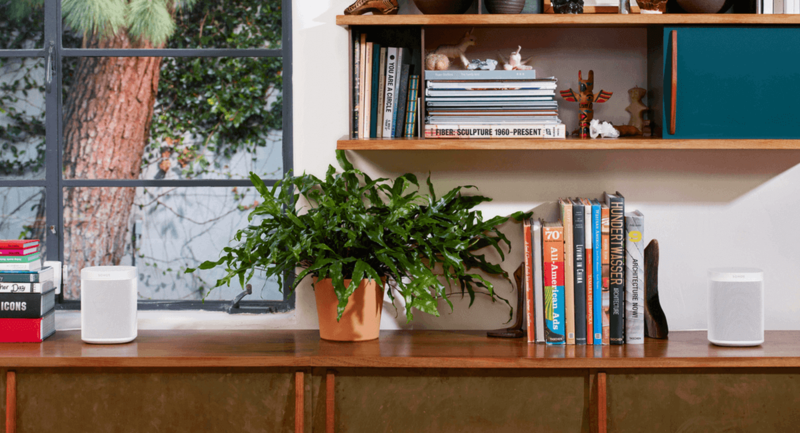 Sonos One is designed with extra security: the hard-wired LED connection ensures no-one is listening when you want privacy. Seamless all-black or all-white colour, smooth matte finish, and durable metal grille for an appearance that fits in any home. Pair two Sonos Ones together in the same room for instant stereo sound. Add a SUB for deeper bass. 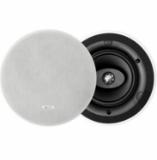 Or pair with your TV’s Beam, PLAYBAR or PLAYBASE for epic home cinema surround sound. Complete Privacy Two built-in microphones to enable future enhancements of Trueplay tuning. Excellent. I already have an Amazon Echo gen 2 (not plus) so this might be an unfaire comparison as I have these Sonos One Gen 2's paired for stereo, but the sound is in another league. I have them sitting either side of a Ruark R4 and they sound better than the Ruark. Bass is phenomenal for the size but still balanced - it is possible that their proximity to the subwoofer of the Ruark might be contributing to this (sympathetic vibration). I tend to listen at low volume and, after experiment, keep "loudness" switched on. I'm pleased as punch with them and would say that they have revolutionised my listening. I use them with Amazon Alexa - their ONLY failing is that they don't seem to be listening quite as attentively as my Amazon Echo, but, in addition to using Alexa voice commands, I also find music using the Sonos App. My large CD collection has just become surplus to requirements, so I intend to conduct a radical space saving exercise after Easter. Anybody want to buy around 3000 CD's going spare in this household? Purchased a pair of Sonos One's to provide cover throughout the house and I am not disappointed. Sleek looking speakers with superb sound quality. The associated Sonos app also complements the set up being very user friendly. 10 out of 10! Sound quality very good however difficulty in getting Alexa working properly; only works on one of the two speakers. Hefty items in small packages, with a heavy sound to boot. Alexa functionality is great - please look on Sonos site to get the most of them. My sonos one's are now paired with my sonos beam and sound great, in fact I doubt I actually need the woofer. I bought these as a present for my other half, he was shocked and surprised. As he's quite fussy with sound quality I was worried that they wouldn't be very impressed. Needless to say, he was very impressed, absolutely loves them and the pairing in stereo function. There was a bit of an iffy moment when trying to use spotify through Alexa, but you can set it as your primary music source which irons out any kinks. All in all, he's in love with them and I have a lot more free time on my hands as he spends all his time playing with them!! Bought pair of play one speakers from Cheltenham pod great service ,nothing to much trouble to explain full range of speakers .Very easy to set up at home Alexa works well no problems in understanding voice commands as some people have mentioned in other reviews .Also have great on line contact service. Thanks Amy!